Anyone who's been following me for a while knows that I love the look of scrappy quilts. For the past couple of years, I've been cutting and sorting my scraps as I go into squares and strips. My guide for this has been Bonnie Hunter from Quiltville and here's how she cuts and organizes her scraps with her Scrap User's System. My scraps are sorted into 1.5", 2", 2.5", 3" and 5" squares. I also save strips, but most are 2.25" and 2.5" and I put them all together in one place. Do you recognize this one? It's the same as the Americana Doll Quilt I have in my tutorials. 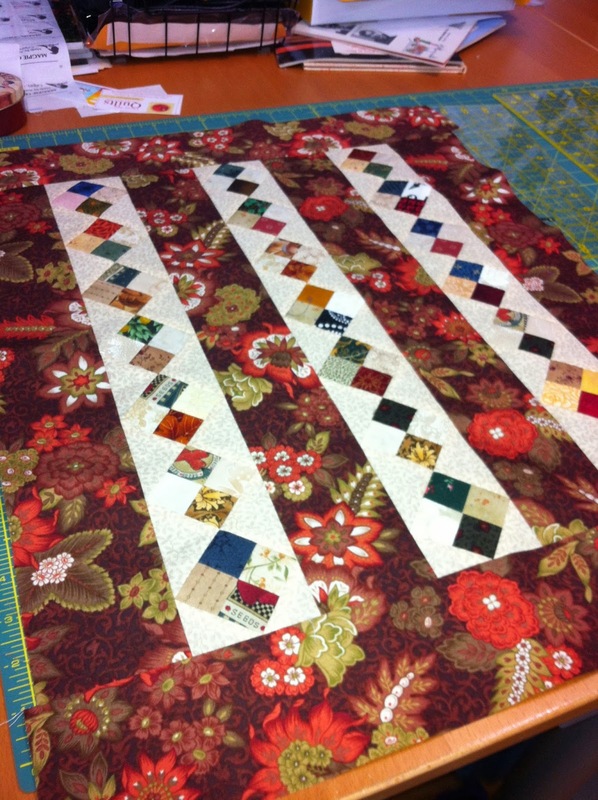 An autumn coloured print fat quarter was just enough fabric for the sashing and borders and the scrappy four patches look great, even though they don't match at all! It always amazed me that the same pattern can look so different depending on fabric choices. I have a few of Bonnie Hunter's books and have a few patterns bookmarked for sometime in the future. 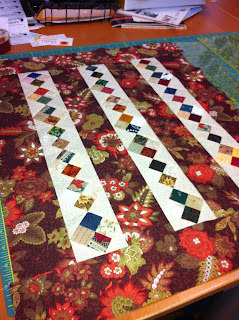 In the meantime, I've been piecing little 4-patches as leaders and enders between my regular piecing. 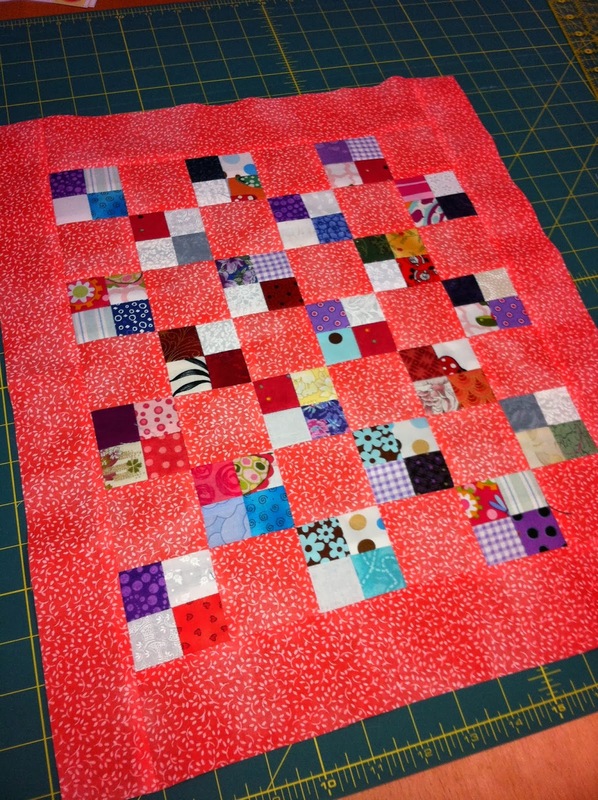 When I have enough to make something larger, I'll pause the regular quilting and have some fun sewing together some small doll-size quilts. 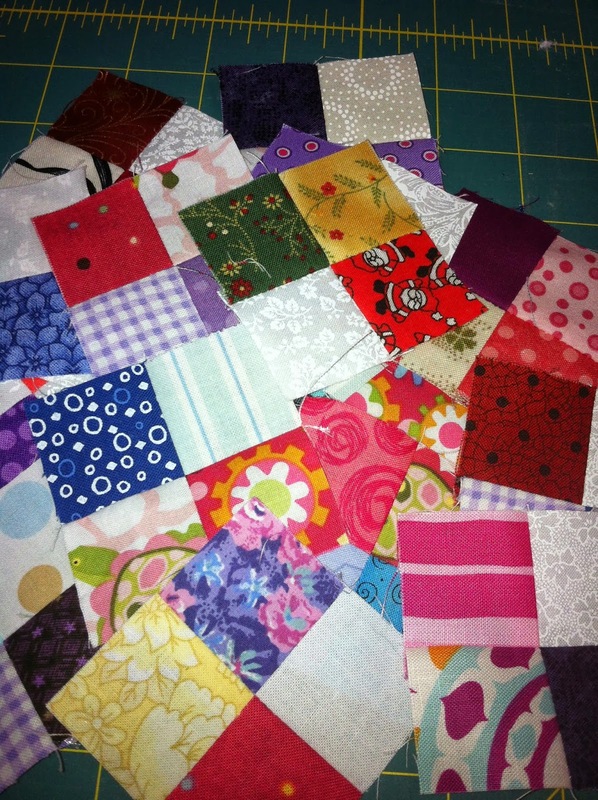 What do you do with your scraps? What's the smallest piece you save? Inquiring minds want to know! I have a similar system and the smallest I save is 1 1/2". Realistically, I think I probably could eliminate that size and go only to 2". I still haven't done anything with the scraps yet because it looks so jumbled when I try to pair them. I think I need to cut up more neutrals or creams to go with them before I could accept that all that work would yield something beautiful. Saying that, I look at yours or Bonnie's results and think they are just beautiful. Perhaps after working with a certain fabric, I get bored with it and can't see it's beauty by the time I'm dealing with scraps.